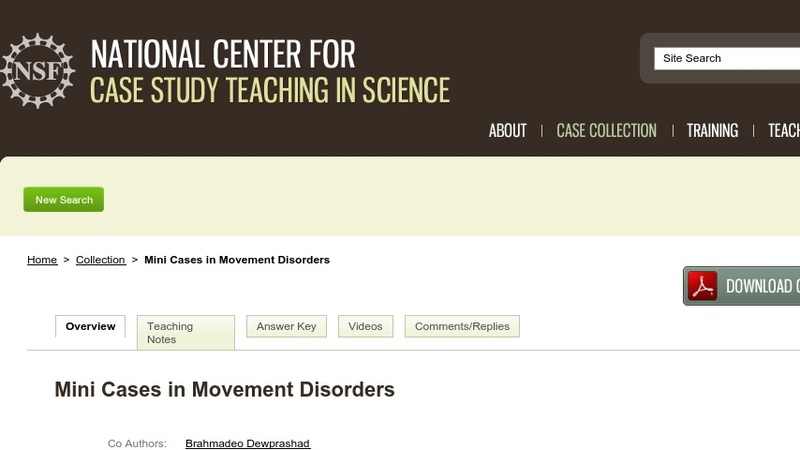 This collection of six short cases focuses on brain areas and neurotransmitters involved in the control of movement. Students are divided into working groups and given one or more of the case descriptions. Each scenario depicts a breakdown in the motor system that can be traced (at least in part) to some brain area or areas. Useful for a variety of courses, including physiological psychology and neurobiology, these cases are intended to give students an opportunity to apply knowledge gained from readings and lectures to real-life situations inspired by patient cases described in the literature.